A debut psychological thriller about a woman who moves with her family to the gothic seaside house where her husband grew up--and where 15 years ago another family was brutally slaughtered. Patrick believes they can bring the house back to its former glory, so Sarah, uprooted from everything she knows, pours her energy into painting, gardening, and giving the rotting old structure the warmth of home. But with locals hinting that the house is haunted, the news that the murderer has been paroled, strange writing on the walls, and creepy "gifts" arriving on the doorstep at odd hours, Sarah can't shake the feeling that something just isn't right. Not with the house, not with the town, or even with her own, loving husband--whose stories about his perfect childhood suddenly aren't adding up. Can Sarah uncover the secrets of the Murder House before another family is destroyed? "Savage carefully sustains the growing tension to the final twist. Psychological thriller fans will be rewarded." "Kept us utterly spooked and utterly hooked." "A vivid portrait of buried tensions." "An intense tale of deceit, treachery and loss." Vanessa Savage is a graphic designer and illustrator. She has twice been awarded a Writers' Bursary by Literature Wales, most recently for A Woman in the Dark. She won the Myriad Editions First Crimes competition in 2016 and her work has been highly commended in the Yeovil International Fiction Prize, short listed for the Harry Bowling Prize, and the Caledonia Fiction Prize. She is on the current longlist for the Bath Novel Award. 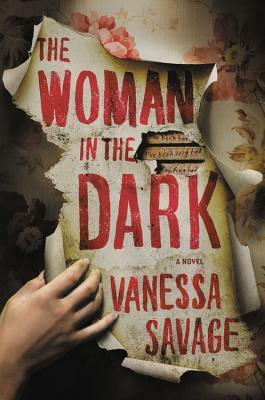 (2) Hardcover copies of THE WOMAN IN THE DARK - Open to US/CAN only!